Many studies also show that the pomegranate is one of the most powerful, nutrient dense foods for overall good health. 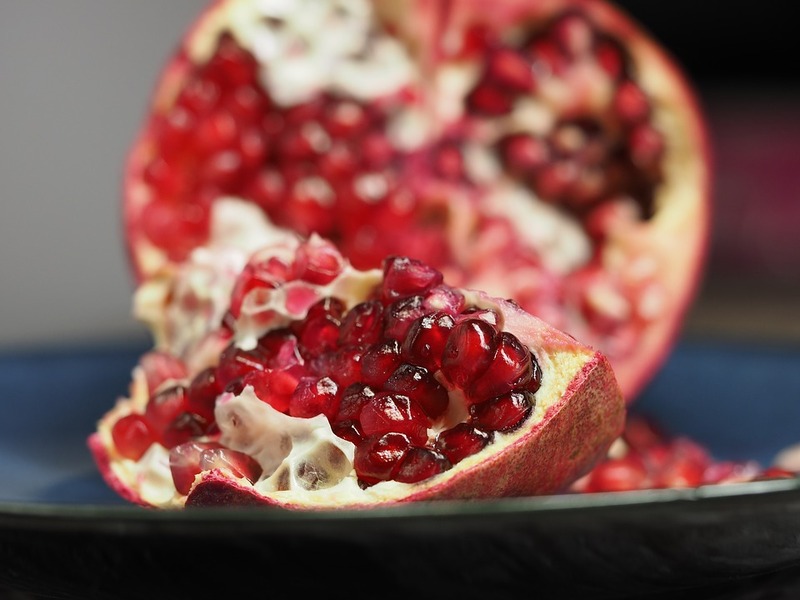 These clinical findings clearly show a correlation between pomegranate compounds and their positive effect on both human and animal cardiovascular, nervous, and skeletal health. This is one fruit that would be a great addition to your day: Breakfast, Lunch or Dinner! There are several ways to incorporate pomegranate seeds into your day. You can put them on top of your oatmeal or cereal, in salads, mix with hummus or guacamole, blended in smoothies, or to add sweetness to Brussel sprouts or even baked chicken or fish. The possibilities are endless!